Welcome to the Division of Student Success at Red Rocks Community College! 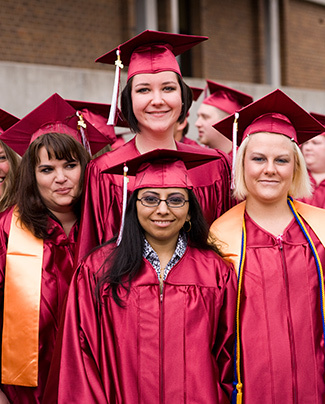 The many units that comprise the Division of Student Success provide resources and support that complement the academic experience at Red Rocks Community College. Each department aims to assist students in successfully navigating their college experience beginning with the enrollment process and continuing beyond the classroom through completion and graduation. To learn more about the areas that make up Student Success just follow the links below or on the left. Visit Student Success Services for a complete list of current student resources and support. The mission of the Student Success Division is to equitably provide resources and services for students that foster personal growth and goal achievement in a supportive environment. Get to know us further by accessing information about the Enrollment Management Team and the RRCC Strategic Enrollment Management Plan. Additionally, be sure to contact me or any of the Enrollment Management as well as Student Success Managers for assistance if you need us. We all share the same goal: student success at Red Rocks Community College.